Two themes that I have regularly explored in this Diary are: 1) the bad loans of public sector banks (or government banks) that have accumulated over the years. 2)and the fact that there is no free lunch in economics. Today I will address both the themes together. As on December 31, 2018, the bad loans of public sector banks stood at Rs 8,64,433 crore, having come down a little from Rs 8,95,601 crore, as on March 31, 2018. Bad loans are basically bank loans which haven't been repaid by a borrower for a period of 90 days or more. Despite the accumulation of such a massive amount of bad loans, banks have continued to operate. This is largely on account of the government, which is the major owner of these banks, continuing to put money into these banks. Between April 2013 and December 2018, a total of Rs 2,16,900 crore had been invested by the government in these banks. In fact, by the end of March 2019, the government would have invested a total of Rs 2,71,367 crore in these banks. A bulk of this money has been invested between April 2017 and now. As I have explained in the past, the government has got this money by increasing taxes on petrol and diesel, in comparison to the past. Hence, given that all of us consume petrol and diesel, directly or indirectly, we have had to pay for the bad loans of public sector banks. And given this, there is no free lunch in economics. 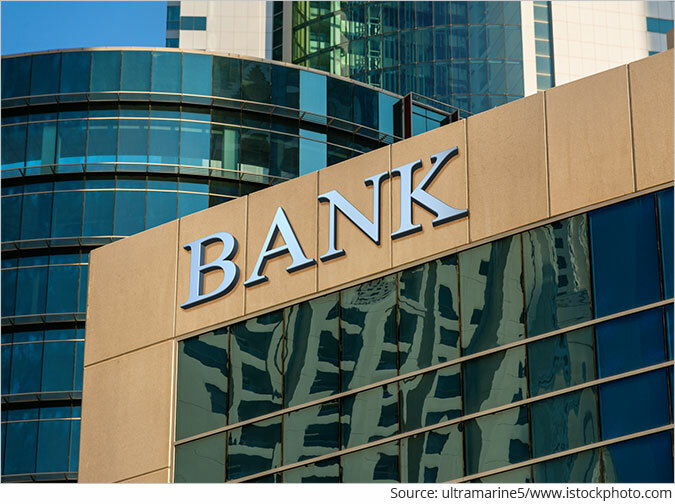 While a bulk of the money to keep the banks going has been coming from the government, there is another small way through which banks have been helping themselves over the years. The total amount of money collected for non-maintenance of a minimum balance in savings accounts, has gone up over the years. Take a look at Table 1, which details the total amount of money earned by public sector banks by imposing a fine for non-maintenance of adequate balance in savings accounts. Source: Rajya Sabha Starred Question No: *17. What does Table 1 tell us? Let's look at it pointwise. 1) In 2015-2016, the public sector banks collected a total of Rs 841.41 crore from depositors not maintaining an adequate minimum balance in their savings bank accounts. This jumped by around 315% to Rs 3,489.52 crore by 2017-2018. 2) A major reason for this jump lies in the fact that the country's largest bank, the State Bank of India, started fining for non-maintenance of a minimum balance in savings accounts, from April 2016 onwards. The bank used to charge for this before April 2012. Between April 2012 and March 2016, it did not charge for non-maintenance of a minimum balance. The bank managed to collect Rs 2,4833.87 crore through this route, in 2017-2018. 3) On the whole, a total collection of Rs 3,489.52 crore does not sound much. But it would have ended up hurting many individuals and families already stretched for money in the first place. In that sense, they took on some of the burden, even if a small one, of the bad loans of public sector banks. 4) The interesting thing is that the money collected by public sector banks for non-maintenance of a minimum balance in a savings accounts, has slowed down between April to September 2018, in the current financial year. The total amount collected stands at Rs 989.15 crore. Even if the collection continues at the same rate, the total collections in 2018-2019, will be significantly lesser than that in the previous financial year. This basically means that a large number of depositors have caught on to this trick of banks and have been maintaining the minimum balance in their accounts. But there is still a significant number who is unable to do this. 5) How have private banks been doing on this front? Take a look at Table 2, which lists out the total amount of money earned by major private sector banks by imposing a fine for non-maintenance of adequate balance in savings accounts. What does Table 2 tell us? It tells us that the private sector banks have always known this trick to make some easy money. Hence, the money earned from this has largely remained flat, over the years. The public sector banks, like pretty much everything else, discovered this trick a little late. To conclude, and at the cost of repeating myself for the umpteenth time, there is no free lunch in economics. Someone has got to foot the bill. Sadly, in this case, you and I, are doing this. We request your view! Post a comment on "Why Minimum Balance Charges of Govt Banks Have Gone Up Over the Years". Thank you for posting your view! 2 Responses to "Why Minimum Balance Charges of Govt Banks Have Gone Up Over the Years"
First of all, how could you justify your statement of SBI charging from April 2016, but shown in your table Nil for FY 17. Your should have compare without SBI's figure. Government has been putting money in public sector banks. I heard it is called recapitalizing the banks. Does it mean that the money is going into equity of the bank? If so, Government share in equity of the bank goes up by that amount. On one side Government wants to reduce it's share in PSU bank equity and by recapitalizing it is increasing it's share. Is it not counteracting it's purpose?